FOSJOAS Electric Self-balancing Scooter V3 as cute as cool. Abstract: Having bought a set of electric self-balancing scooter, I used to go out with steering it. I find it goes for commuting, going shopping and going to school. It is connect with my life now. Hello, everyone! I am self-employed. I long for latitude and like sports. At the same time, I am also into novelty and adventure, e.g. skating and steering unicycle. I show a strong interest in sport-related exercise. These days, the electric self-balancing scooter is prevalent. There is no doubt that I join the team of scooter-lovers. In the present market, there is a great number of scooter-makers and an assortment of electric self-balancing scooters. Those electric self-balancing scooters on the whole falls into dual model: the single-wheeled scooter, twin-wheeled scooter and the handlebar-equipped scooter. No standing board is amounted on the former two, but they are fitted with pedals. Out of the curiosity and fun, I have experienced riding of all above models. 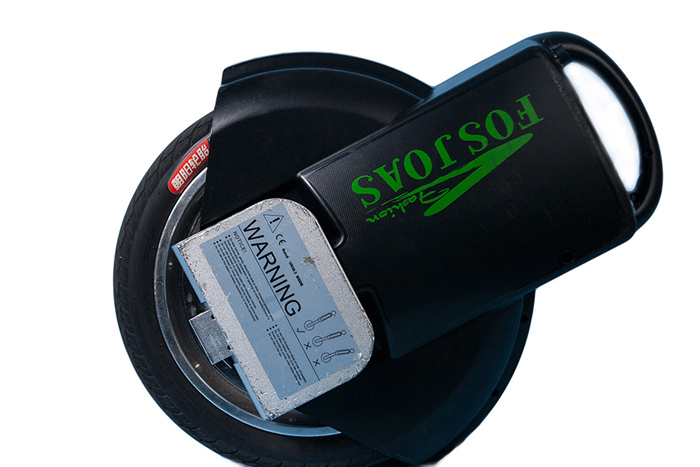 Take FOSJOAS electric self-balancing scooters for example. The most formidable challenge is to steer FOSJOAS unicycles of V-series, but it can bring riders a thrilling experience of riding. The V-series more befits tyros and common users. This model integrates the merits of V-series and S-series, thereby as stable as stylish. So much description seems not enough to give a lucid concept about the electric self-balancing scooter. The electric self-balancing scooter is referred to as an electric-powered transport. It is small and exquisite-even easy to carry into the trunk or office. The battery holds a range of 15-30 km on a good 3-or 4-hour charge. If need be, it can serves as a vehicle alternative to the bus and metro. It is eco-friendly, energy-saving and handy vehicle. In my eyes, however, it is not so much a vehicle as a gadget like toy for exercise and amusement. Having bought a set of electric self-balancing scooter, I used to go out with steering it. I find it goes for commuting, going shopping and going to school. It is connect with my life now-even I can no longer go without it. The spring comes around. It is high time for scooter-lovers to steer electric scooters for sightseeing for purpose of relieving pressure and saving time.